← A WONDERFUL SEASON TO ALL! Wow! We’re in a New Year. Now, that eight days have passed, you’ve probably already forgotten about those resolutions. Whatever – we have a new year of possibilities and problems before us. What shall we say? The curtain came down on 2017 with riots in the streets of Iran, the longest since 2009. The younger generation and merchants struggling to survive had enough of the regime spending millions on spreading terrorism and building bombs. The latest report indicates ten deaths, and hundreds arrested. Where will this revolt go in 2018? Probably nowhere because several years ago the Revolutionary Guard wiped out the last group of protestors and probably would do so again. But problems with Iran won’t go away. The Arab Spring has fairly well turned into winter. In Egypt the economy is no better than it was before all the rioting. Egypt’s currency is now worth less than half what of what it was in 2011. Tourists are staying away. The killings of 395 worshippers in a mosque didn’t help the country. The Egyptian Christians possibly had an even rougher time. Hundreds of Muslims attacked a Coptic Christian diocese south of Cairo. The church’s contents were destroyed and members assaulted before security arrived. The Coptic of Egypt may possibly be the oldest institutional expression of Christianity. However, Christians constitute only 10% of the Muslim population. 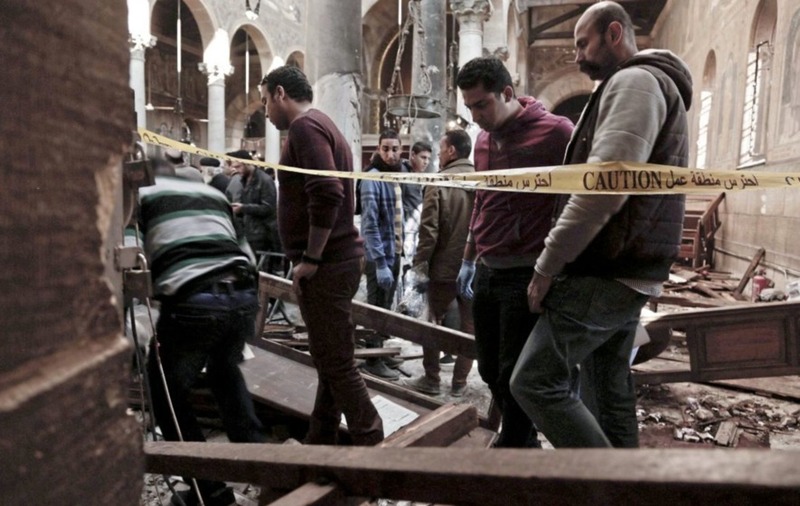 On December 30, a gunman on a motorcycle opened fire on a Coptic Church in a Cairo suburb. Eight Coptic Christians were killed before the lone assassin was felled. President Abdel-Fattah el-Sissi tried to prevent yearly attacks, but failed. Of course, the world is aware of President Trump’s arbitrary decision to move the American Embassy to Jerusalem. The world responded that he further damaged peace negotiations with the Palestinians. Trying to get the United Nations behind the move, America received a rebuke from friends and foes. After the embarrassment, Ambassador Nikki Haley threatened the world that the US was “taking names” and would retaliate financially against everyone in sight. All of which made America look like a bully and further denigrated diplomacy. Trump’s actions have only isolated Israel further and diminished American’s influence to negotiate for peace. Isolationists could care less while folks struggling for a better world can only mourn. With a total unpredictable White House, who can predict what will happen in 2018. Putin will run for office in an already rigged election – but doesn’t take a prophet to predict that result. The rest is up for grabs. When I was with Pope Francis last June, we discussed the critical situation in the world. The Pope suggested that everyone should pray for peace. I can’t think of a better word for what’s ahead.